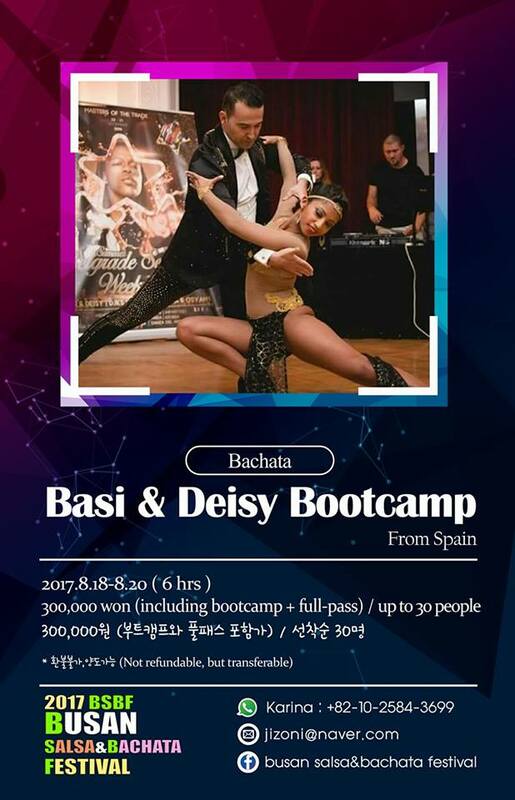 BSBF is an annual international Latin dance festival first held in Busan, the best tourist and maritime city in Korea. 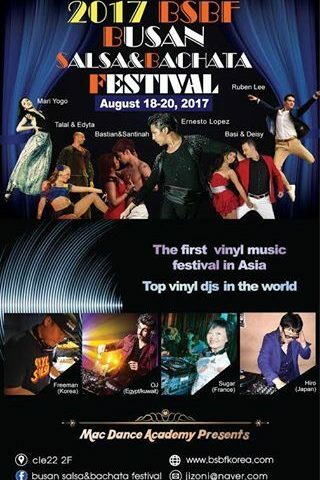 In this festival, the world famous artists are invited and high quality of classes, performances and parties are offered, so everyone can come and enjoy the festival. Also, this BSBF is contributing to the growth of Busan Latin dance through local and international salsa dancers’ and lovers’ mingling with each other. 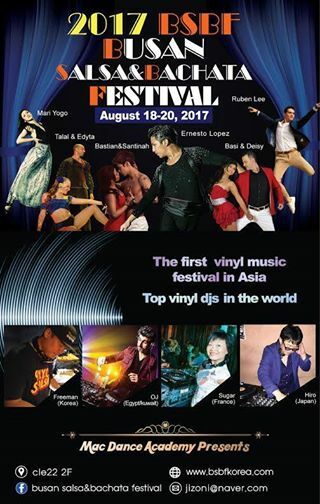 This year in particular, world best vinyll DJs are officially comining to this festival, so you can encounter and enjoy the authentic sound of 70’sand 80’s original music as well as a rare collection of discs they exclusively possess. I hope you all travel together to the vinyll world with a analogue sentiment. Feel the BUSAN this summer and you will be thrilled.